Health and fitness are two important ingredients that are required for a happy life. If you are not healthy, you will most probably be prone to infections and diseases. If you are not fit, you will not be able to do physical activities or play games. You should be fit if you want to go through your daily routine without feeling tired. You should be healthy so that you can enjoy life without frequent visits to the hospital. Why being healthy is so important? A person prone to diseases cannot enjoy life to the fullest. If you are unhealthy, you might not be able to eat certain foods, because they might infect you. You might not be able to go through a year without getting infected or may need to get yourself checked regularly. Staying unhealthy may even affect your mind and physical appearance. How is a fit person better than an unfit person? If you are fit, you will be able to play your favorite games and go through your daily life without feeling tired. An unfit person on the other hand may feel lethargic at times and may not be able to perform as well as a fit person. Fitness is not only limited to sports though, as your mind is equally affected by it. 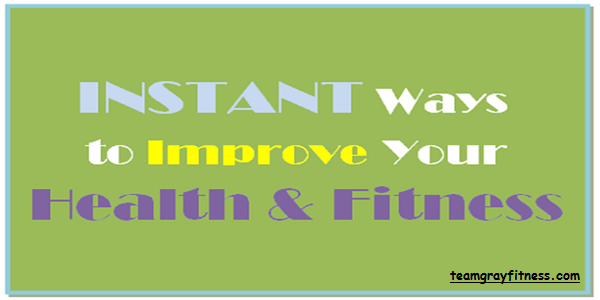 This is perhaps the most basic and essential way of improving your health and fitness instantly. Let your muscles work and let your mind stay fresh all day with all the blood running through your veins at high speed. By exercising, you will keep your vessels clean and avoid various heart diseases. You will get fitter and your muscles will become stronger as you go through your exercise routine every day. There are plenty of dietitians that can help you get all your required nutrients. Proper nutrients are required for a healthy lifestyle and they will keep your organs healthy. A balanced diet will also help you reduce weight or keep it in check. If you are overweight, you may develop back problems which can be quite bad if not treated in time. Your mind needs to relax in order to stay fresh and remain healthy. 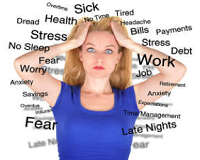 If you work too hard without giving yourself a break, your stress levels may increase. Higher stress levels disturb the chemical balance of your body and can completely ruin your efforts of staying healthy and fit. So just relax and take some time out whenever you feel like you are under stress and tired. That is true for the most part, as unhealthy people are usually fat or disfigured. They will not have the same amount of confidence as a fit or healthy person has. It is natural for a good person to overwhelm someone who isn’t as good looking. So if you want to stand out in a crowd, be sure to stay fit and healthy.